Alias Cinema presents "This Way", a four part series profiling Arc'teryx Athletes Jason Kruk, Will Stanhope, Jon Walsh and Will Gadd. Episode 1 - Squamish - Genius Loci. Featuring Arc'teryx Athlete Jason Kruk and Squamish pioneer Hamish Fraser. In 1991, tallying more than 20 days in ground up style, Hamish Fraser, Peder Ourom and Mark Gandy established "Genius Loci", a stunning 5 pitch route leading up the Squamish Chief Grand Wall. Despite it's classic and legendary status, close proximity to the ground, and modest grade (by modern standards), the route has believed to have not been freed in a single ascent until 2012.
makes trad look awesome..how do they get that camera effect?! Ultimately a very frustrating video- beautiful at moments, but no complete video of the route- just frustrating glimpses of it. Would be nice to know where on the Chief it is, have a shot of the route, and have a shot of Jason actually finishing the thing. You can tell where it is from 6:50, They’re belaying from an anchor on Mercy Me. It looks like you go straight up instead of doing the little traverse into the base of the split. This reminds me so much of Enchanted Rock here in Texas! 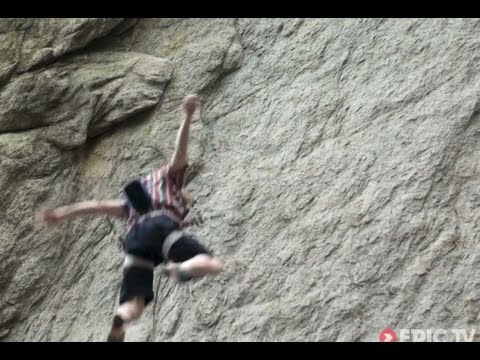 The backside is about 60 trad-bolted slab routes and “Gravitron,” the local horror show, sports 4 bolts over 150ft of climbing =) but wow is it beautiful to climb!